Vidya Balan's views on body positivity are important. Actor Vidya Balan says she has grown up with hormonal problems and always had issues with her body. She explains how he had to deal with her own self first in order to demand acceptance from the world around. 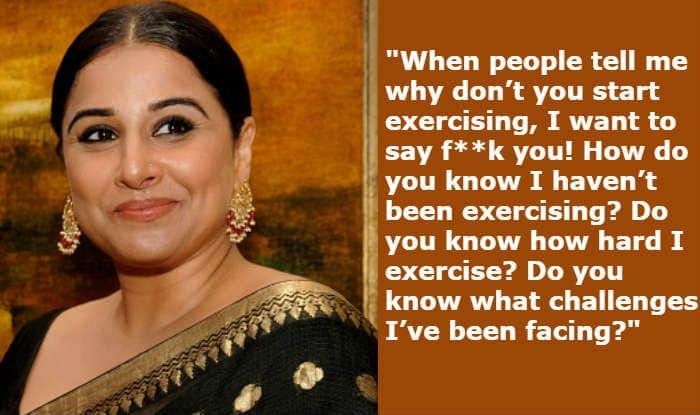 Vidya got candid in her latest interview with a magazine and opened about issues surrounding body shaming. She said she feels enraged beyond limit when someone tells her that she should exercise to keep her weight in check. Vidya is considered one of the most talented actors of our times. She has given some strong performances in films Parineeta (2005), The Dirty Picture (2011), Kahaani (2012), Begum Jaan (2017) and Tumhari Sulu (2017) among others. Vidya is also one of the initial actors who refused to fit into gowns to walk the famous red carpets at events. She always maintained that she will wear what she feels comfortable in and will never let anyone make her style rules. More power to you, Vidya!